Late last month, HMD rolled out the Android Pie update for the Nokia 3.1 Plus and now the turn has come for the regular Nokia 3.1 to get it. 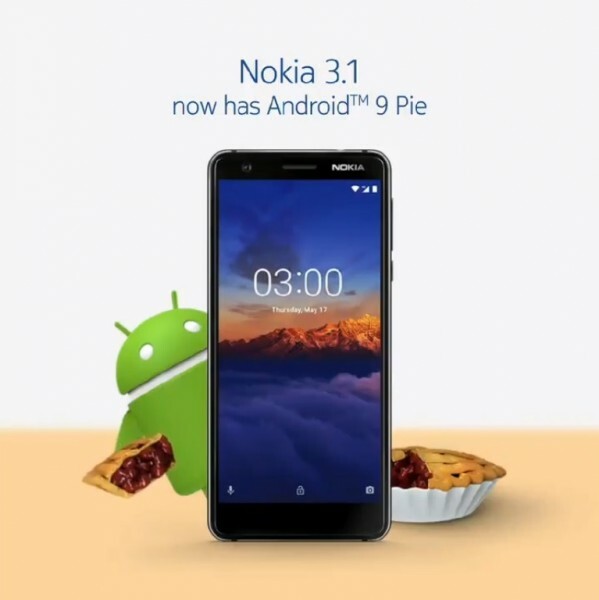 Unlike the Nokia 3.1 Plus, which got Android Pie later than planned, the rollout of Pie for Nokia 3.1 is right on schedule. A detailed changelog of the update is currently unavailable, but as this is Android Pie, we know it brings in features like navigation gestures, redesigned UI, adaptive brightness, and adaptive battery to Nokia 3.1. The Nokia 3.1 debuted last year in May and being an Android One smartphone, it comes with the promise of two years of version updates and three years of security updates, hence you can expect to get Android Q to eventually hit the phone. whats the matter if HMD is chinese? also, can you show us HMD is really a chinese company.. ?